Michael Gallatin is an agent with the British Secret Service. Gallatin is also something else, something quite unique. He is a lycanthrope. Others might call him a werewolf but that is a word he would never use because as an educated, intelligent man, lycanthrope is far more correct and descriptive. Though he can tell you what he is grammatically, he might be hard pressed to tell you his true belief as to whether he was a man or monster - whether he was a part of God's plan or a creature just awaiting eternal damnation. As he awaits this answer, he works for the British government as an agent during the days leading up to and through the Second World War. He chose England even though he is not from there because his true home did not want him and if there is one truth about Gallatin it is that he is a survivor. He had been an eight year old boy in the days of Tsar Nicholas II's last days. His father had been a commanding officer in the Tsar's Imperial Army but when things went from bad to worse, many of those who served under him wanted to blame him for all the failing rulership's problems. Several malcontents came looking for the father while the family was on an outing in the woods and things turned nasty immediately, resulting in the death of the father, mother, and sister. Young Mikael Gallatinov, as his name was then, had been out hunting his missing kite and survived the carnage. He did not escape, though, a run in with a pack of wolves. These were not natural beasts of the woods but lycanthropes themselves. One of them, a female, chose to infect the young boy instead of devouring him. But infection did not mean instant membership. Most infected never survived the transition, a process filled with pain beyond most endurance. Most of the tribe was certain Mikael would not make it and for a long time it looked like they were right. They did not know yet, nor did Mikael, about his determination to beat any obstacle. The leader of the pack, an educated man named Victor, eventually took to the stubborn boy and over the next few years as they all lived in seclusion in the remnants of an old castle, taught him all the many subjects the man once taught in school. Despite his desire to run through the woods hunting and feeling alive, Mikael started to learn and showed how intelligent he could be. All things pass and so did the life that Mikail knew and loved. Eventually the pack became hunted and eliminated. Mikhail, now a young man, went out of the forest and began looking for a place for himself. Numerous bumps in the road changed his direction over the next few years but they ended with an invitation from a member of the British Intelligence for a home. Changing his name to the more Anglicized Michael Gallatin, he took the job largely for lack of anything better to do. For the next several years, the man who was also a wolf would be one of Britain's best silent warriors. The Nazis may have the plans for the Allied invasion and one person far behind enemy lines knows how much is known. Michael Gallatin is asked to parachute in and find that person and learn the truth, though the Gestapo is closing in. First adventure in the The Hunter from the Woods collection. Recalls a teenage Mikael Galatinov's first taste of love's often bitter fruit. Second adventure in the The Hunter from the Woods collection. Recalls how the British Secret Service meets and recruits young Mikael Gallantinov from the hinterlands of the Soviet Union. 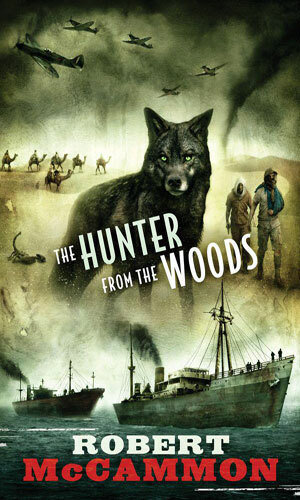 Third adventure in the The Hunter from the Woods collection. Michael Gallatin is on a mission to smuggle a German family from their homeland to England but the Nazis do not want to let go. Fourth adventure in the The Hunter from the Woods collection. Gallatin is in North Africa near the beginning of WWII working in Intelligence. His plane is shot down by a German fighter whose plane is also damaged. Together they must cross a good portion of the desert avoiding being killed by Arab raiders, the sun, scorpions, and each other. I am often foolish about a series and that was definitely the case with Michael Gallatin. 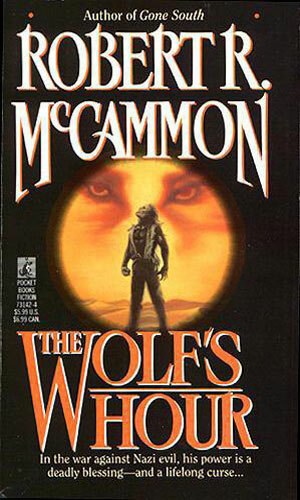 A friend had mentioned that since I had just added a series about a vampire agent, I should know there was one about a werewolf. I had not known about it but I got both books right away. Then my silliness took hold. I liked vampires. I did not like werewolves as much (I mean, they be traditionally enemies, right). So I kept putting off reading the books. Eventually, many months later, I forced myself to grab the first one. OMG! What a fantastic series. The character, Gallatin, is awesome. He is extremely resourceful, intelligent, and, naturally, deadly. He is also very much human (despite his ability to change to something non-human) and can and does make mistakes. He has feelings and desires and intentions that do not always work out well. He can and does get hurt. He suffers much from his mistakes. He also makes those causing him trouble suffer a whole lot themselves. And the writing is so incredibly well done. Scenes are instantly understandable and realistic. Dialogue (my biggest pet peeve) are completely dead on. People talk like people. They are believable. So very believable. And the plots are even better. The author takes Gallatin to many different locales and present him with a wide variety of dangers and goals. Best of all, no matter where he was or what he needed to do, it made sense. The author wrote the first novel back in the late 90's. Over a decade later he decided to bring back the character and tell stories from before and after that first adventure. It has been a half-decade since that second book was released and the author has moved on to other things. I am grateful he gave us what he has. Perhaps someday he will decide to give us more.